RDA - What can we learn from the Internet? Home » Webinar » RDA - What can we learn from the Internet? The introduction of the Internet Protocol Suite (TCP/IP) and its worldwide acceptance has created significant momentum, as we are now able to network our computers seamlessly across country borders. The Turing Award winner Bob Kahn was not only one of the inventors of TCP/IP, but he was also one of the driving forces within the internet community that created completely new opportunities, new technologies and new aspirations that we are all familiar with today. However, Bob did not only look at computer networking. By 1995, Bob, together with Robert Wilensky, wrote a visionary paper on Digital Objects which offered first directions about how we would have to organise our data landscape. These ideas led to the Digital Object architecture which Bob has been optimising in recent years, assuming that all Digital Objects (data, software, knowledge, etc.) need to have Persistent Identifiers (PIDs) associated with some core attributes. Consequently, the Corporation for National Research Initiatives (CNRI), the institute at which Bob is director, started working on a solid and powerful PID resolution system which is now the basis of the services behind DOI (Digital Object Identifiers) and many other services for the registration and resolution of PIDs, such as ePIC (European Persistent Identifier Consortium) in Europe. The view that Digital Objects need to have persistent identifiers and metadata associated with them is now widely accepted by the domain of data professionals worldwide, and new applications are continuously emerging, indicating the power of such a solution. In 2005 the Max Planck Society understood that PIDs would be crucial for managing increasing volumes of data, and sought to offer a PID solution for all its scientists. The Handle System was chosen as favoured system, developed by CNRI. Bob worked hard to create the DONA Foundation in Geneva and gradually transfer management of the Handle System to this foundation. The DONA Foundation is governed by an international board. In addition, the single node root system behind the Handles has been moved to a multi-root system making Handles even more reliable – if one root server breaks down, others will take over the job seamlessly. These advancements indicate that Bob Kahn is one of the key visionaries working in the areas of computer and data networking in recent decades. In this interview Peter Wittenburg from RDA will discuss with Bob about these developments, and also raise questions about how the increasing application of new technologies such as cyber-physical systems will create even more challenges for connecting internet devices and managing data. Robert E. Kahn is Chairman, CEO and President of the Corporation for National Research Initiatives (CNRI), which he founded in 1986 after a thirteen year term at the U.S. Defense Advanced Research Projects Agency (DARPA). CNRI was created as a not-for-profit organization to provide leadership and funding for research and development of the National Information Infrastructure. 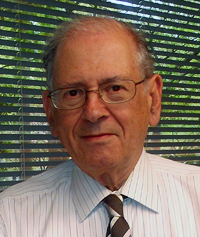 Among many other awards, Bob Kahn was awarded the SIGCOMM Award in 1993 for "visionary technical contributions and leadership in the development of information systems technology", and shared the 2004 Turing Award with Vint Cerf, for "pioneering work on internetworking, including .. the Internet's basic communications protocols .. and for inspired leadership in networking." Come and join the Webinar discussion with Bob and pose your questions!